Adults who participated in the Food Stamp Program, renamed the Supplemental Nutrition Assistance Program (SNAP) in 2008, as children are healthier and better off financially than poverty-stricken families who did not have access to the program, according to findings in joint work with Douglas Almond and Diane Schanzenbach (this paper and a companion paper Almond, et al. 2011). Children with access were more likely as adults to graduate from high school, earn more, and rely less on government welfare programs as adults than impoverished children who did not have access to SNAP. 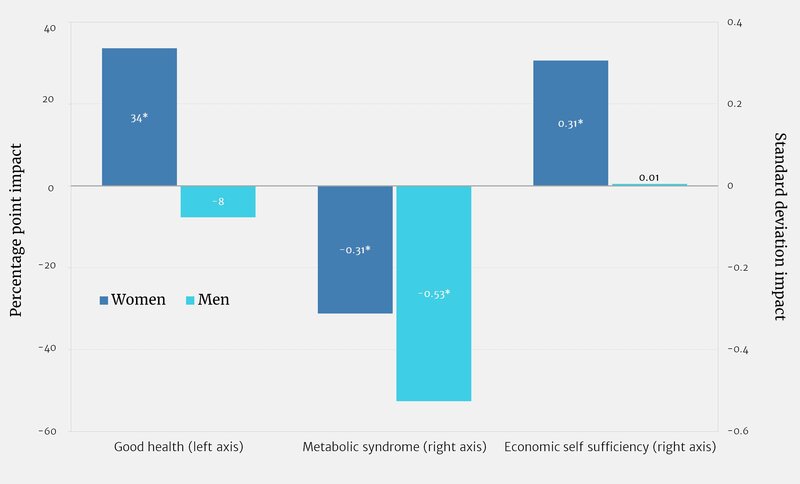 Women, in particular, are substantially more likely to self-report they are in good health and are more economically self-sufficient in adulthood. We find no additional long-term health impacts for children from more exposure to the program during middle childhood, but individuals with access to food stamps before age 5 had measurably better health outcomes in adulthood with significant impacts for those in early childhood. In 2012, SNAP lifted 4.9 million children out of poverty, and also lifted more than 2.1 million children out of deep poverty, which is defined as an income level less than half of the poverty line (Sherman and Trisi 2015). In addition, two-thirds of total SNAP benefits go to families with children. A growing body of evidence suggests it is particularly important to protect children from deprivation. Access to food and other health benefits early on in a child’s life has been shown to impact their outcomes as adults, especially in terms of earnings, health, and mortality. Evidence from diverse settings, ranging from children exposed to war, disease, or famine, points to deprivation in childhood as being a cause of adults’ chronic health conditions (Almond 2006; Schulz 2010). This paper adds to that literature, but does so by examining the long-term impacts of a positive and policy-driven event, such as access to SNAP, that increases a family’s resources available before birth and during childhood. A key challenge to measuring the impact of safety net programs like SNAP is finding a strategy that will allow the researcher to separate the cause from the connection, or correlation. SNAP is designed to supplement a family’s food budget when their income dips so that when times get tough financially, due to a job loss or some other negative event, a family can continue to purchase enough food. By design, then, families in extreme poverty or food insecurity receive SNAP benefits. As a result—because SNAP serves people when they need the program—it is empirically difficult to disentangle the (presumably positive) impact of SNAP from the (presumably negative) impact of the circumstances that made a family eligible for the program. For example, Bitler (2015) finds that SNAP recipients are significantly more likely to be blind or have other vision problems—a condition that is not likely to have been caused by SNAP, but is more likely correlated with other factors that have driven the person’s need to participate in the program. The researchers’ challenge, therefore, is to find an aspect of participation that allows them to separate the cause-and-effect relationship between SNAP participation and food security, nutritional quality, and so on. One common strategy is to leverage variation in the way a program functions across locations or over time. 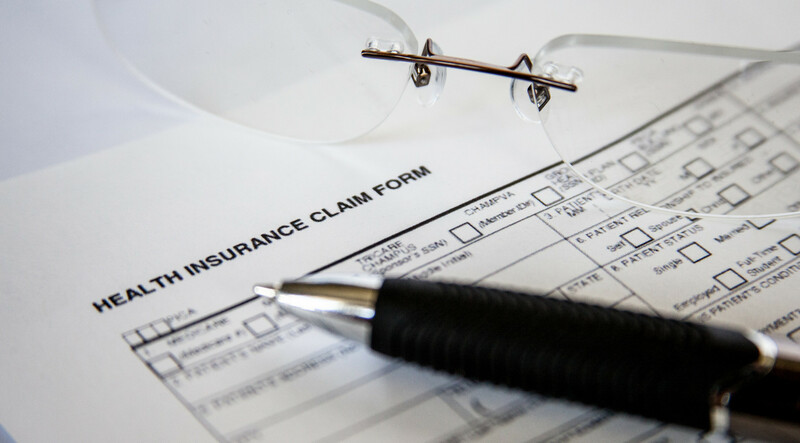 This approach has been used successfully in evaluations of cash welfare programs, unemployment insurance, and other safety net programs. Estimating the impact of SNAP has been notoriously difficult, though, because the program has been relatively uniform across states and over time. As a result, it has been hard for researchers to disentangle SNAP’s impact on families from the effects of other economic circumstances. In a series of recent papers, we overcome this fundamental challenge in estimating the impact of SNAP by using variation from the gradual, county-by-county introduction of the program in the 1960s as part of the War on Poverty. We use variation across counties within states to estimate the impact of the program—then called the Food Stamp Program (FSP) before it was renamed SNAP in 2008—on a variety of outcomes. Since the program was introduced 50 years ago, the individuals who were children at its introduction are now adults, and we can statistically follow their progress. This helps shed light on the long-term impacts of SNAP access during childhood with regards to education, earnings, and detailed health outcomes. Notes: Authors’ tabulations of Food Stamp administrative data (U.S. Department of Agriculture, various years). The shading corresponds to the county FSP start date, where darker shading indicates a later-date county implementation. Figure 1 demonstrates the variation in the introduction of the Food Stamp Program (hereafter referred to as SNAP), with lighter-shaded counties adopting the program earlier than darker-shaded ones. The program started out in a handful of pilot counties in 1961–1963, and then was made permanent by the 1964 Food Stamp Act, which gave local areas the authority to start the program in their county, subject to budgetary limits. Between 1965 and 1975, the program was rolled out in counties across the country. As is shown on the map, two neighboring counties within the same state often adopted the program in different years. As a result, we can compare children who were born in the same year—for example, 1967—in two different counties in the same state, who were exposed to the program at different times. To strengthen the comparison, we also compare these differences to characteristics among children who are older (or younger) from the same two counties. 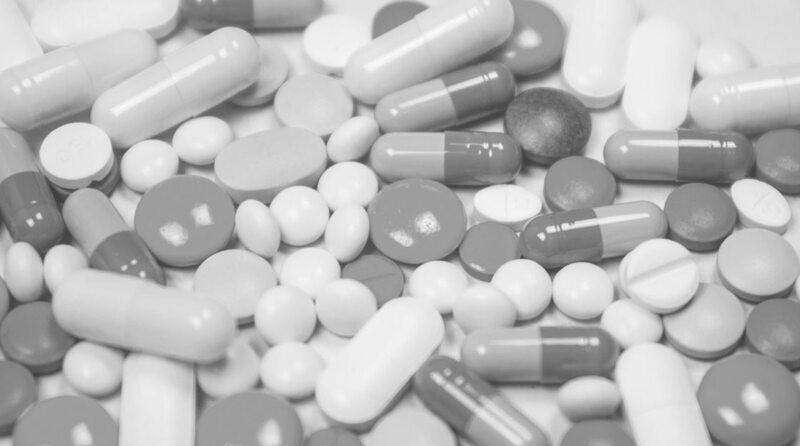 This allows us to control for the effects of county of residence, birth year, and a host of other potentially confounding effects, and statistically isolate the impact of SNAP. For more details, see Hoynes and Schanzenbach (2009). In the short run, we find that SNAP improves infant health (Almond et al., 2011), especially in the case of expectant mothers accessing the program in their third trimester. Access to food stamps improves her baby’s birth weight, which could have long-term positive effects on the babies’ health as a child and adult. The improvements are largest in more vulnerable populations, such as babies born in high-poverty counties, and those babies with the lowest birth weights. Figure 2 shows the impact that SNAP has on improving infant health. Each bar shows the reduction in the likelihood that a baby was born below a given birth weight due to the mother having access to the program during the third trimester of her pregnancy. 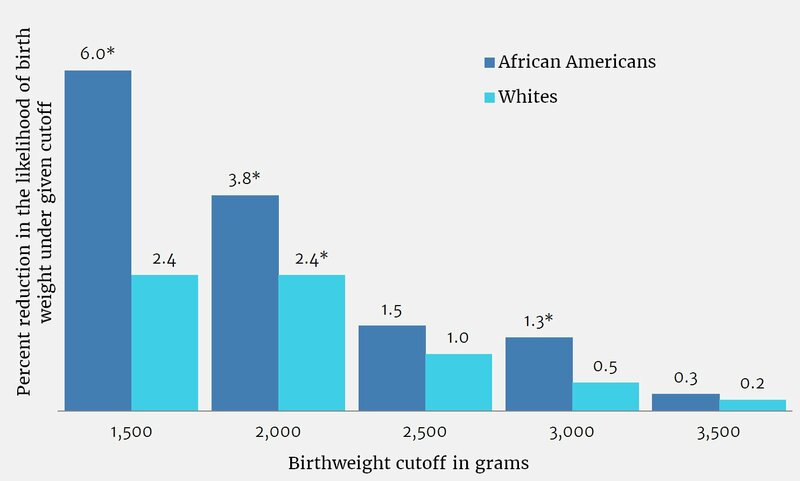 Some important thresholds are 1,500 grams (approximately 3 pounds and 5 ounces), below which a baby is considered “very low birth weight,” and 2,500 grams (approximately 5 pounds and 8 ounces), below which a baby is considered to have “low birth weight.” As shown in the figure, African American and white babies are respectively 6 percent and 2.4 percent less likely to be born with very low birth weight after the introduction of the program in the mother’s county of residence. The figure also shows that the improvements in birth weight are largest among the lowest-birth-weight babies, who are more at risk to experience long-term health problems because of their low birth weight. We then examined whether the impacts of childhood access to SNAP persisted into adulthood through a variety of mechanisms. Past studies have documented that birth weight has downstream impacts on school achievement, subsequent health, and adult economic outcomes (Currie, 2009). Since the program improved birth weight, one would expect some downstream improvements to follow. But the benefits may come through other pathways, potentially including other health improvements, reducing family stress, or being able to pay more attention in school because of reduced hunger. Source: Almond, Hoynes, & Schanzenbach (2011). Note: * denotes estimate statistically significantly different from zero. 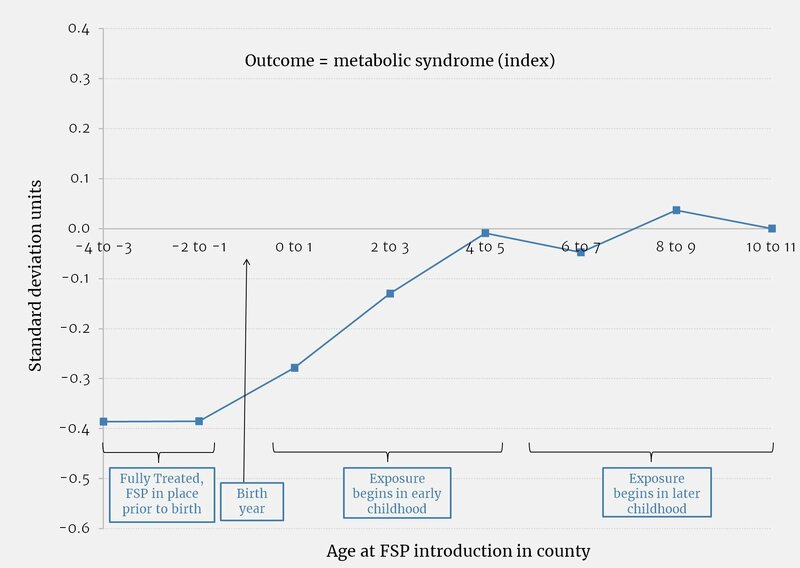 To investigate the impacts of childhood access to SNAP on adult outcomes directly, we used the research strategy previously described based on the timing of the introduction of the program, and measured outcomes using data from the University of Michigan’s Panel Study of Income Dynamics (PSID). 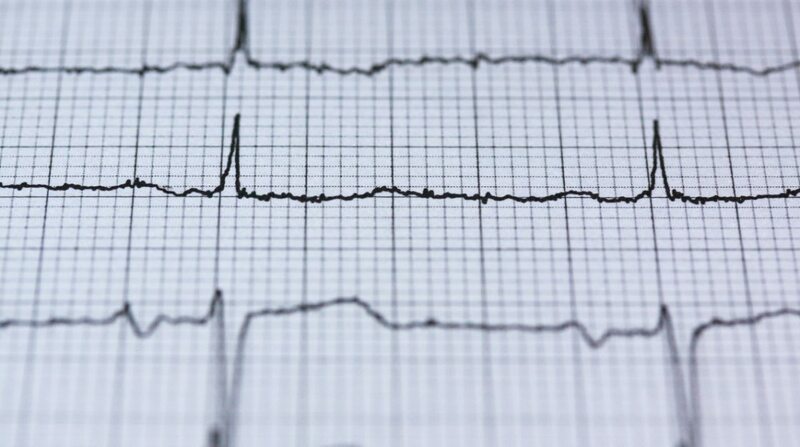 This dataset has followed a large number of individuals and their children from the 1960s through the present day, and measures such factors as where they live, their earnings and labor market activity, and a variety of aspects related to their health status. As a result, we could observe a host of economic and health outcomes of individuals in their 30s to 50s who had differential access to the program during their childhoods in the 1960s and 1970s. To summarize adult health status, we combined measures of obesity, body mass index, and presence of chronic conditions such as diabetes and high blood pressure into a measure of health status we call the “metabolic syndrome index.” Here, a lower value represents better health. Figure 3 presents estimated impacts of accessing SNAP at a given age, relative to being exposed first at age 10. We find that individuals with access to food stamps before age 5 had measurably better health in adulthood, with significant impacts for younger children. In particular, we find that if SNAP was introduced prior to a child’s birth, their subsequent adult health improved by 0.4 standard deviation units, as measured by the index we constructed. Again, we find no additional gain in long-term health for children for additional years prior to age 10 unless exposure moved to the preschool years or earlier.. Figure 4 summarizes the long-term impacts of exposure to SNAP as a child, separately by gender. The magnitudes of the results represent the impact of having access to food stamps from the time of a child’s conception through age 5. We find sizeable improvements in health as measured by the metabolic syndrome index for both men and women. Source: Hoynes, Schanzenbach, & Almond (forthcoming). Note: * denotes result statistically significantly different from zero; estimates are for high-impact sample where the head of household had less than a high school education. 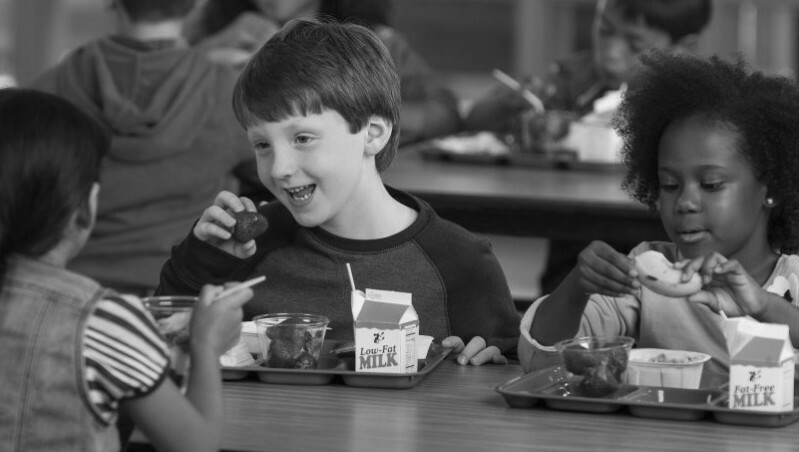 In terms of policy, it’s important to recognize that the benefits of SNAP not only include improved food security in the short-run, but the program also helps prevent negative, long-term, and lasting effects of deprivation during childhood, such as less education and earnings as adults, along with health problems like obesity, heart disease, or diabetes. Because these individuals are healthier and more financially sound, the benefits also pay out to taxpayers. Healthier Americans leads to less cost when it comes to future health care for the average taxpayer. Additionally, by increasing self-sufficiency, SNAP today can reduce the future costs of safety net programs and also increase tax revenues in the long run. Our findings suggest that the SNAP benefits that go to children are better thought of as an investment rather than as charity. This article summarizes Almond, D., Hoynes, H. W., & Schanzenbach, D. W. (2011). Inside the War on Poverty: The impact of food stamps on birth outcomes. The Review of Economics and Statistics, 93(2), 387–403 and Hoynes, H. W., Schanzenbach, D. W., & Almond, D. (2016). Childhood exposure to the Food Stamp Program: Long-run health and economic outcomes, American Economic Review, 106 (4), 903-934. Almond, D. (2006). Is the 1918 influenza pandemic over? Long‐term effects of in utero influenza exposure in the post‐1940 U.S. population. Journal of Political Economy, 114(4), 672–712. Bitler, M. (2015). Health and nutrition effects of SNAP: Selection into the program and a review of the literature. In J. Bartfeld, C. Gundersen, T. Smeeding, & J. Zilliak (Eds. ), SNAP Matters: How Food Stamps Affect Health and Well-Being. Palo Alto: Stanford Press. Conti, G., Heckman, J. J., & Pinto, R. (2015). The effects of two influential early childhood interventions on health and healthy behaviors. NBER Working Paper No. 21454, August 2015. Currie, J. (2009). Healthy, wealthy, and wise: Socioeconomic status, poor health in childhood, and human capital development. Journal of Economic Literature, 47(1), 87–122. Gluckman, P. D., Hanson, M. A., Cooper, C., & Thornburg, K. L. (2008). Effect of in utero and early-life conditions on adult health and disease. New England Journal of Medicine, 359(1), 61–73. Heckman, J. J. (2006). Skill formation and the economics of investing in disadvantaged children. Science. 312(5782): 1900–1902. Heckman, J. J., Moon, S. H., Pinto, R., Savelyev, P. A., & Yavitz, A. (2010). The rate of return to the HighScope Perry Preschool Program. Journal of Public Economics, 94(1), 114–128. Hoynes, H. W., & Schanzenbach, D. W. (2009). Consumption responses to in-kind transfers: Evidence from the introduction of the Food Stamp Program. American Economic Journal – Applied Economics, 1(4), 109–139. Hoynes, H. W., & Schanzenbach, D. W. (2015). U.S. food and nutrition programs. Forthcoming in R. Moffitt (Ed. ), Means Tested Transfer Programs, Volume II. Chicago: University of Chicago Press. Schulz, L. C. (2010). The Dutch Hunger Winter and the developmental origins of health and disease. Proceedings of the National Academy of Sciences, 107(39), 16757–16758. Sherman, A., & Trisi, D. (2015). Safety net more effective against poverty than previously thought. Washington, D.C.: Center on Budget and Policy Priorities. Retrieved from http://www.cbpp.org/sites/default/files/atoms/files/5-6-15pov.pdf.